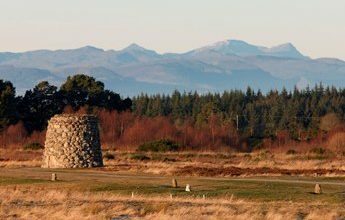 As the 273rd anniversary of the Battle of Culloden approaches, momentum is growing to seek Unesco world heritage site status for the battlefield. NTS recently launched Culloden 300, an initiative to engage with the public for views on how to protect the battlefield for future generations. The organisation is now calling for all stakeholders such as the Highland Council, Historic Environment, Visit Scotland and other interested organisations to come together to push for world heritage status for the site, saying it meets Unesco requirements as having universal value. Historian of the Jacobite 45, Professor Christopher Duffy said Unesco status would lend ‘great moral force’ when warding off pressure from developers. He said: “World heritage status is highly desirable and prestigious for any site and would give great moral force for the preservation of the battlefield. “The only trouble is like other conservation zones, it’s just a moral instrument and has no legal force, but we do feel here at Culloden that it would carry extra weight when development comes under consideration. “Unesco looks at a site very carefully, its ambience, how it fits into the environment as a whole. “This is a very important at Culloden where the battlefield sits in a wild, evocative environment. “Secondly, Unesco monitors compliance and doesn’t hesitate to deprive a site of its world heritage status. “Sites like Edinburgh New Town, Vienna, the Tower of London, Liverpool Waterfront- they have all been given notice by Unesco because of modern developments around them. Meanwhile, NTS is hosting a number of commemoration events this weekend through Tuesday, including trails, talks and tours, while the Clan MacKinnon Society of Germany is hosting the annual commemoration service this morning and a number of other events.